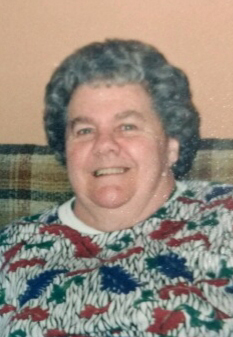 Claire Lantagne, 85, of Biddeford, died Tuesday, January 29, 2019 at Southridge Living Center. She was born in Biddeford October 25, 1933, the daughter of Roland and Marie Rose (Lizotte) Lemieux and was educated in local schools. On April 25, 1953 she married Robert R. Lantagne in Biddeford ME. Claire had been employed at various local mills and then for 35 seasons in the gift shop at Funtown USA. She enjoyed playing cards, bowling, and bingo. Preceding her in death was her husband, Robert R. Lantagne in 2014. 3 great granddaughters Grace, Olivia, and Autmn. Private funeral services will be held at Hope Memorial Chapel, 480 Elm Street, Biddeford, ME 04005. To share condolences online, please visit www.HopeMemorial.com.